All work and no play is…no fun! At Venterra, we work hard but we make time to have fun at work & celebrate individual, team and company success. As a result, customers enjoy doing business with us, employees want to work for us and stay with us and overall morale and productivity improves which lead to great business results! Every year at our annual Kick-Off Party we get an opportunity to give back for all the hard work our teams put in the previous year. Appreciation is shown through awards of all types for individuals and teams, through heartfelt speeches from our executive team, by giving out tons of prizes, and by just having a chance to enjoy an all around amazing time! All the excitement is a great way for us to gear up for the New Year and this year’s party was no exception. This year our teams’ faces lit up the room at our glow-themed events! The 2019 Kick-Off Party included the unveiling of our newest WOW book, tons of great get-ups, photo booths, dancing, games, prizes, and all of our employees glowing crazy in their own way. All the excitement is a great way for us to gear up for the New Year and this year’s party was no exception. This year our teams geared up beach-style for a tropical-themed event and had some great times during and leading up to the festivities! The 2018 Kick-Off Party included the unveiling of our newest WOW book, steel drum bands, photo booths, limbo and hula hoop contests, and all of our employees hangin’ loose in their own way. And at our Annual Leadership Conference our managers and corporate team get together to learn, celebrate, and have a blast! Each year we aim to strengthen and enrich the individuals charged with keeping the company spirit strong across the portfolio! 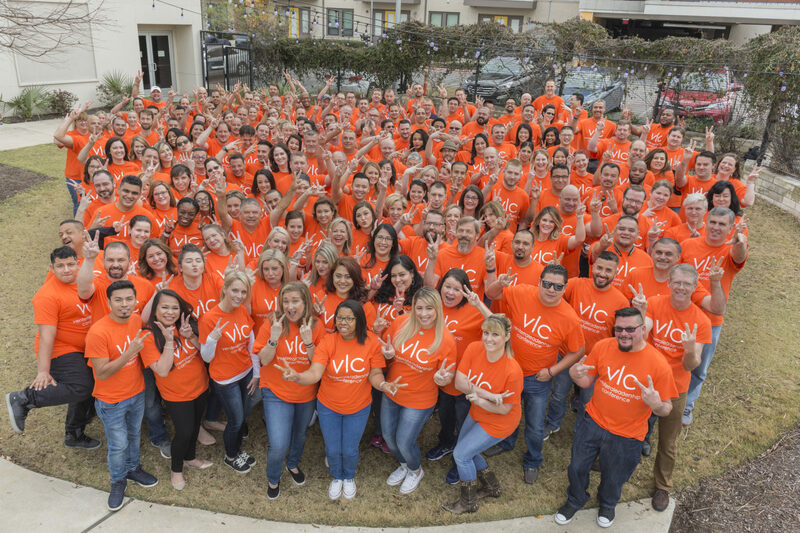 The 2018 Leadership Conference was held in Austin, TX where Experience Leaders had a chance to keep Austin weird! Some of the areas covered in speeches at the leadership conference this year included: changing demographics in the U.S., our purpose as an organization, insight into what makes some of Our Executive Team tick, the importance of emotions in resident and employee experience, an introduction to our Development Team, the traits of successful employees, handling difficult conversations as a leader, and 2018 developments on the horizon..
Festivities at the conference included keynote speaker, Dr. Debbie Phillips, our annual trade show, a “Get Your Geek On” Party, prize giveaways, and breaks that included plenty of games and fun. Check out our stories to hear more about what our teams do to have fun and celebrate success. You’ll see that whether it’s eating food, dancing or simply thanking each other, we keep each other motivated, enjoy what we do and celebrate along the way.